Here's a surprise. 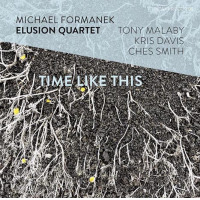 Bassist Michael Formanek is probably best known for his two recent ECM Records dates, Rub and Spare Change (2010) and Small Places, a couple of modernistic quartet sessions featuring saxophonist Tim Berne, pianist Craig Taborn and drummer Gerald Cleaver. 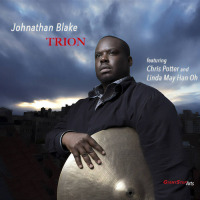 These are tight and intense sets, architecturally solid, free-like outings that may have helped bring Taborn and Berne into the ECM fold for their own leader slots on the label. 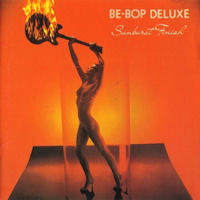 With a modestin terms of numbersdiscography as a leader, and a huge one as a sideman, including a handful of excellent Steeplechase Records teamings with pianist Harold Danko in the early 2000s, there is nothing in Formanek's discography to suggest a magnificent acumen as a writer/arranger in the big band format. 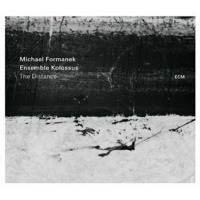 But here it is: The Distance by Michael Formanek Ensemble Kolossus. Formanek is not, though, a stranger to writing for larger ensembles. An Educator at Baltimore's Peabody Conservatory of Music, he has penned The Open Book, for Symphony Orchestra and Jazz Soloists, premiered by the Peabody Concert Orchestra in 2007. 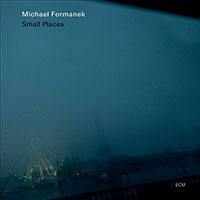 For The Distance Formanek employes an eighteen piece big band, and the results are about as different from his ECM small ensemble sets as they could be. 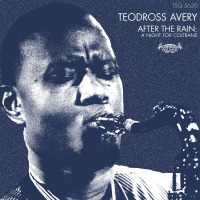 Opening with the six minute title tune, the sound is somber and portentous, closer to modern classical than jazz, a sacred music tone poem of sorts, with a reverent, soft-edged, less-than-one G unison from the ensemble cushioning a pensive tenor sax solo by Brian Settles. 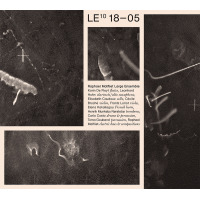 Then onto the meat of the music beneath the chitinous plastic of the CD's jewel case: "Exoskeleton," a suiteor maybe a symphonythat takes up the reminder of the disc's generous 71-plus minutes. 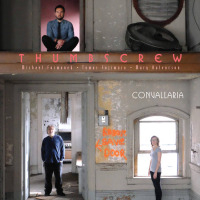 "Exoskeleton Prelude" begins with a ringing and succinct bass solo from the leader that settles into a searching ensemble groove, airy and slightly atonal, with an oddly spooky gracefulness that gathers momentum in a trio segment (drummer Tomas Fujiwara, pianist Kris Davis and Formanek) that, with the return of the ensemble, blossoms into a strident argument. 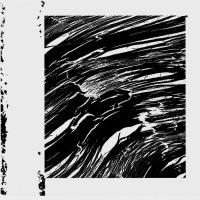 "Exoskeleton Parts 1 through 3," is a twenty-one and a half minute suite-within-a-suite that sways from brash to delicately intricate, from dense to diaphanous, from Mingus-onian intensity to Ellington-ian harmony and swing, to Satoko Fujii weirdness, with too many adept, captivating and concise solos sneaking into the mix to count. And that's only about half the set. 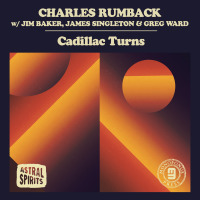 The remaining thirty-five minutes is more of the same unique and complex-yet approachable arrangements, vehemently vivacious soloing and a surprising arraythrough instrumental interplayof new ideas on how a jazz orchestra ought to sound. Track Listing: The Distance; Exoskeleton Prelude; Exoskeleton Parts I-III; Exoskeleton Parts IV-V; Exoskeleton Parts VI-VII; Exoskeleton Part VIII. 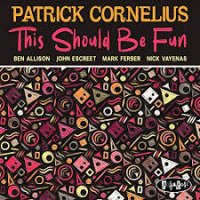 Personnel: Saxophones/Woodwinds: Loren Stillman (alto saxophone); Oscar Noriega (alto sax/ clarinet, bass clarinet); Chris Speed (tenor sax, clarinet); Brian Settles (tenor sax, flute); Tim Berne (baritone sax); Trumpets: Dave Ballou, Ralph Alessi, Shane Endsley, Kirk Knuffke (cornet); Trombones: Alan Ferber, Jacob Garchik, Ben Gerstein, Jeff Nelson (bass trombone, contrabass trombone); Marimba: Patricia Franceschy; Guitar: Mary Halvorson; Piano: Kris Davis; Double-bass: Michael Formanek; Drums: Tomas Fujiwara; Conductor: Mark Helias.